Recently we had a request to acquire data from a set of Kern DE scales linked to a bar code reader. 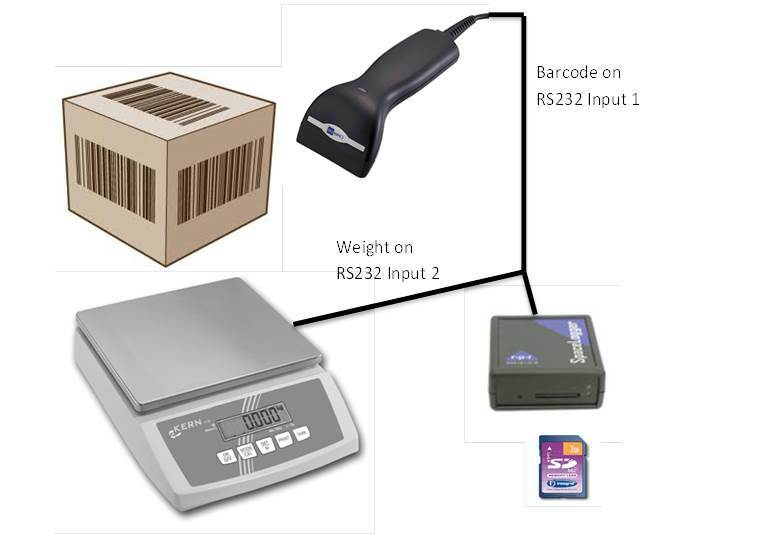 The customer wanted to weigh individual and groups of product, gather data with date and time stamp. The SpaceLogger.S10 model provided the solution to this request. The SpaceLogger.S10 data logger utilised the RS232 port on the Kern scales so there was no need for connection to a PC, this was important as the scales were remote and no PC was available nearby. Data can be recorded in many ways and in line with the Kern scales functionality, all data is date and time stamped and the machine id and company details can be referenced within the data stream if required. The customer was using this data stream to block weigh multiple units and averaging out the weight for quality control assessment. Other useful applications would be to measure output efficiency, box weights and distribution costs. 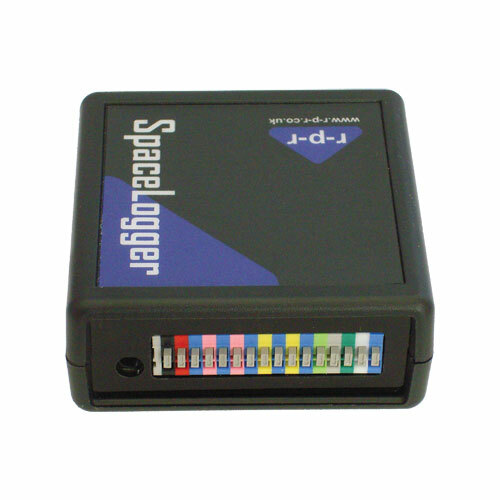 Resulting from this customer requirement we now have the SpaceLogger.S10 data logger compatible with Kern DE, FCB, PCB, 440, CDEE and CDE scales and the following data outputs are compatible PrPC (data output using ‘print’ key), AUPr (automatic data output of stable weights) and AUPC (continuous data output). We have recently supplied Ian Mann from Canada with our AutoHoot. The AutoHoot is an electronic control unit that has been designed to accurately control the sequence of sound signals. Ian has combined our unit with a battery, horn and waterproof enclosure he has named the Lunenburg Hooter after his local yacht club the Lunenburg Yacht Club in Canada. This complete unit can be easily transported on and off committee boats to simplify the starting process even further and remove unnecessary stress from race officials and assistants. We wish Ian luck with this project and await future sales. Whether a sports professional or keen amateur at a local club any individual who trains throughout the year should be aware of the potential dangers of heat stress during hot summer months or when training overseas. In the UK we are less prepared for the periods of high temperatures and humidity and as such when we expose ourselves to these extremes we are far less acclimatised than others who train regularly in hotter countries. This is particularly true when training in the early parts of the season or when first exposed to high temperatures. More athletes get injured in the early part of their training programme than in actual events due to Exertional Heat Stroke, which can be extremely dangerous leading to brain damage and even death. In the USA the Korey Stringer Institute (KSI), a research facility at the University of Connecticut has been conducting research for many years, focusing on preventing sudden deaths in sports especially related to heat stress. The KSI has proven that WBGT (wet bulb globe temperature) is the most accurate way of assessing athlete’s acclimatisation during training and setting safe parameters. Knowing the WBGT helps athletic trainers and coaches ease their players into workouts so players can build up stamina in the heat. Both the Kestrel 4400 and Kestrel 4600 supply extremely accurate WBGT readings automatically and at the exact location of the training. This allows both athletes and coaches to keep a continuous eye on the local environmental conditions giving them the data to make informed decisions and improved training plans. Richard Paul Russell Ltd is keen to hear from any professional or amateur sporting bodies that have a need to monitor heat stress and WBGT related to sports training. As the sea temperature rises and sea breezes start forming it’s looking like the perfect weekend to get to the water. Sailors, canoeists, kite surfers, wind surfers and SUP boarders have all relied on Kestrel Weather Meters to accurately supply environmental data and predict future weather patterns. 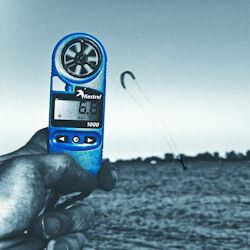 Accurately assessing wind speed and direction is essential information for the yachtsman and water sports enthusiast. The Kestrel 1000 measures wind speed, whilst the more sophisticated Kestrel 4500 will allow you to measure crosswind, headwind and tailwind, useful for kite surfers and wind surfers when assessing beach suitability. 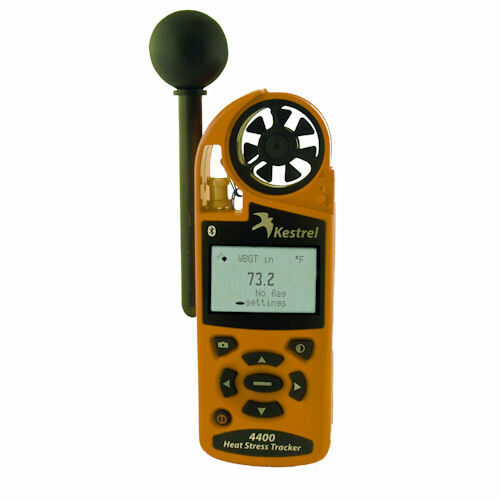 Yachtsman find the Kestrel 2500 is the perfect product as it provides users with the most accurate pressure readings. The Kestrel 2500 can offer sailors a fair amount of warning when the weather is about to worsen. When barometric pressure drops steadily, it usually means a low pressure system is fast approaching. No matter what size boat or yacht, all sailors can benefit from having a Kestrel meter aboard. Recently we supplied a wind system for a private hangar at Bournemouth airport. 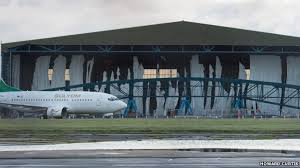 The hangar was being extended and during the high winds we experienced in February the temporary covers got badly torn. The hangar extension included a roll up door by MEGADOOR . These doors are specifically designed for airport hangars and as part of their specification they have an upper wind limit in which they operate. Richard Paul Russell Ltd were asked to specify a wind system that would be hard cabled to a digital display located within the MEGADOOR control console. No Wi-Fi or GSM/GPRS connectivity was allowed due to the location being within an commercial airport complex. 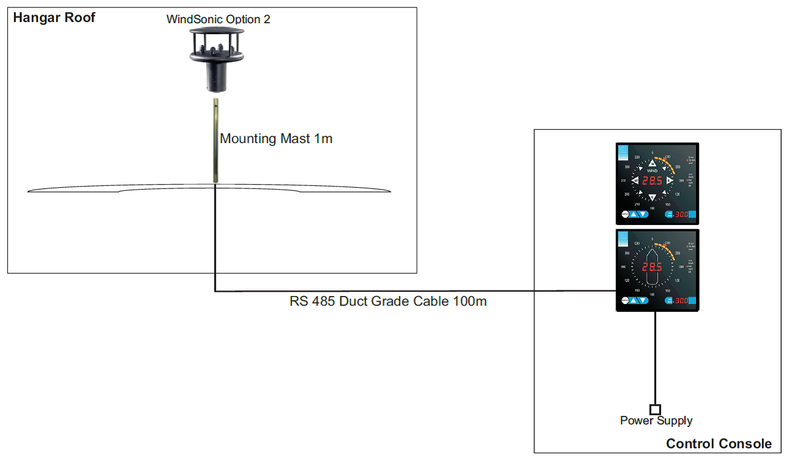 The system Richard Paul Russell Ltd specified included the WindSonic 2 sensor as the cable run was around 100metres and the Gill WindDisplay that gave both wind speed and direction in a compass format. Two site visits were undertaken to ensure the sensor location was suitable and able to give accurate readings. The location of the sensor was on the apex of the building roof and as such not easily accessible. This made the WindSonic sensor the perfect choice as its durable and corrosion free exterior makes it ideal for harsh remote locations and as it has no moving parts it will require minimal maintenance unlike a traditional cup and vane sensor. At Richard Paul Russell we want to ensure the longevity of your Kestrel so you get a lifetimes enjoyment from it. A key element of product care is the choice of batteries and how the Kestrel is stored. We strongly recommend that you only use lithium batteries in your Kestrel. Lithium batteries have many advantages over alkaline batteries, most importantly they do not leak when in storage unlike alkaline batteries. Lithium batteries are also lighter and last longer as well as having better cold weather performance key in our cold UK climate. Importantly the exceptional 5 year warranty only covers the Kestrel when it is used with lithium batteries. If you do use alkaline make sure you remove them when the kestrel is not in use to avoid leakage and corrosion. 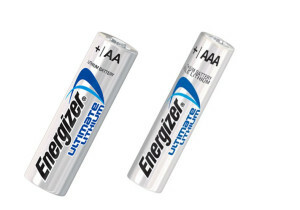 If you are not sure what type of lithium battery to choose, we would recommend the Energizer® Brand Ultimate Lithium AAA. 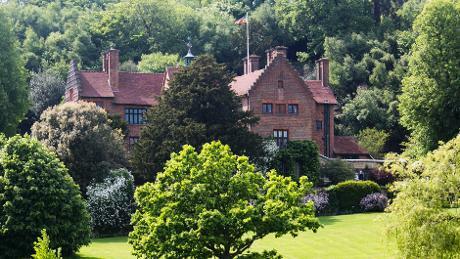 We recently fitted a wind system with SpaceLogger.W10 data logging functionality and local WS-15A display at the National Trust property Chartwell House, Winston Churchill’s former residence. This presented some unique challenges. We needed to ensure the system was discrete and didn’t damage the appearance of this beautiful building but also supply accurate and reliable wind data. After a site visit we found a location on the building roof that would supply accurate wind data, we then ensured the mast mounting and fixtures were coloured to match the surroundings. 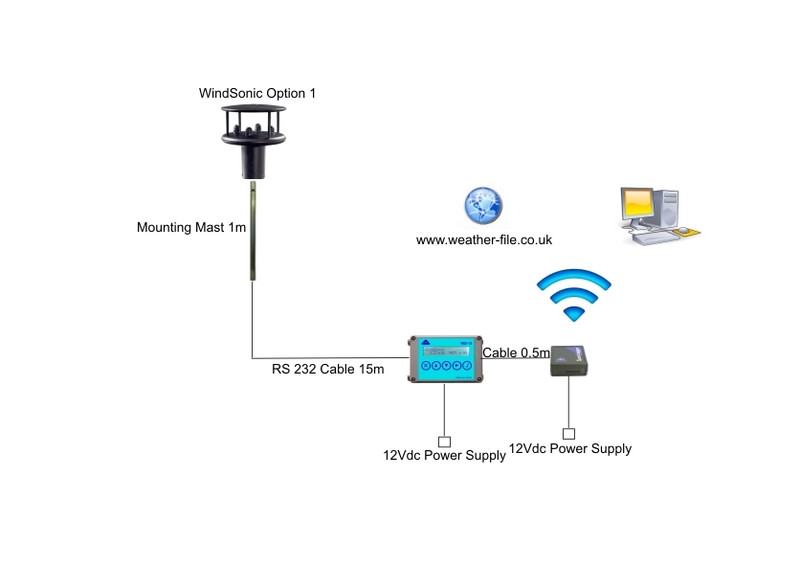 The WindSonic Sensor is ideal for such an application its compact size ensures it blends in with its surroundings and its ultrasonic technology supplies accurate wind speed and direction data and requires minimal maintenance and thus no invasive trips on the roof of this valuable building. We understand that the new Chartwell cat Jock VI who moved into the building in March of this year watches the wind readings with interest.